Do you have a few gifts left to buy? Have you run out of ideas? Sometimes creativity begins to run low as the holidays get closer and there are other things (family visiting, meals to cook) to keep you busy. I have a little advice that might go a long way in the “last minute gift” category. That advice is to make your own non-traditional gift basket and fill it with tools or utensils. Even people who seem to have everything enjoy receiving new instruments for their trade! And, you don’t necessarily need to use a basket…try a bin, a box or a crate. You can make anything look nice with some colored tissue or shredded paper and a big bow! Here are some ideas to get your wheels turning…as you browse, imagine each set arranged nicely in a container of your choosing! I’ve included some options for packaging at the bottom. 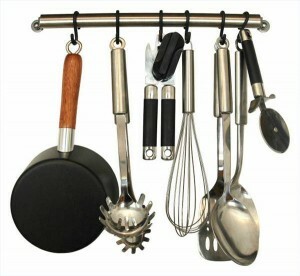 Buy some kitchen utensils for your friend who loves to cook. What woman doesn’t need new makeup brushes? Enough said! Add a mirror, some gloss, powder or special skin products to take this idea further. Do you know anyone who makes their own jewelry? Good tools are precious to these people. You could also include a magnifying glass or special light! Gardening tools…it’s great to have a good set of these, even in the winter! We all need hand tools at some point for a household project so it’s hard to go wrong giving these. If someone already has tools, write in their card that this is an extra set for their office, car or kitchen! I will end with my favorite… painting supplies. Whether someone paints or has an inkling to try, there is something special about receiving new paints and brushes. Include a nice pad of paper and they will be ready to begin! Here are a few container ideas. Get creative! It doesn’t have to be something expensive. When someone has a hobby, they will always love receiving the accompanying tools! And, if someone hasn’t found their inspiration, perhaps you can help them find it!